COME LIVE THE NOCATEE LIFESTYLE IN THIS GORGEOUS POOL HOME in the Esteemed Signature Collection of Coastal Oaks at Nocatee.As you enter into the grand 2 story entry w/beautiful lighting & a wood stair case you will feel right at home.The features of this home include a formal living & dining rm,5 BR's & 4 Full BA's w/the 5th BR being used as media rm w/100'' Screen & HD Projector.Wonderful Kitchen that is open to the Family Rm which makes a great space for entertaining. Kitchen includes cherry cabinetry,granite,cooking island,large walk-in pantry,a breakfast bar & everyday dining nook.Luxurious Owners Suite on the 1st flr w/a sitting area,his/her closets plus a private study/office off the master.1st Floor Guest Suite w/Cabana Bath,great screened outdoor living space,central vac μch moreEnjoy summer days on your paver lanai. The pool comes with an electric heater. The spa is heated with Gas (a buried gas tank). 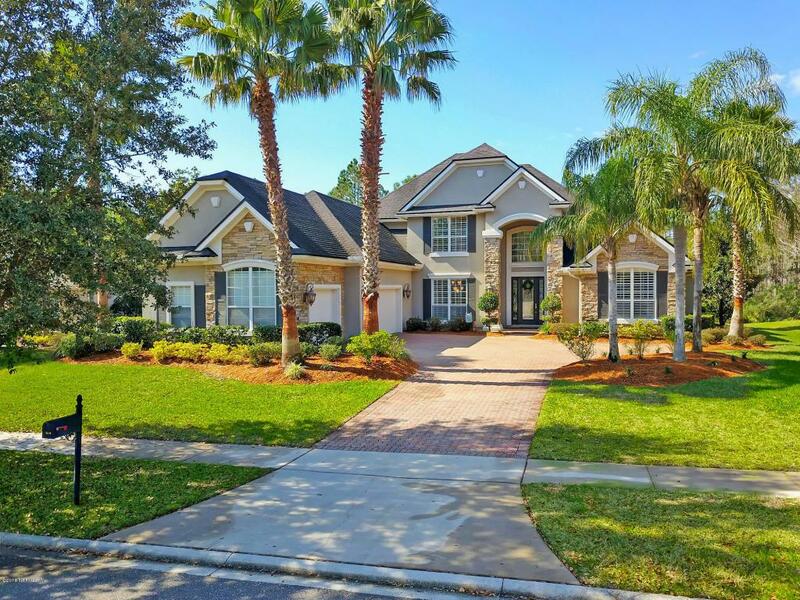 COASTAL OAKS at Nocatee is a beautifully gated community & is minutes away from PV beaches & shopping In addition to the fun filled Nocatee Splash Park, amenities & Greenway trails. This upscale guard gated community has a private clubhouse, fitness center, an adults only pool as well as a children's pool. Tennis Courts, basketball courts, soccer fields, nature trails & playgrounds. 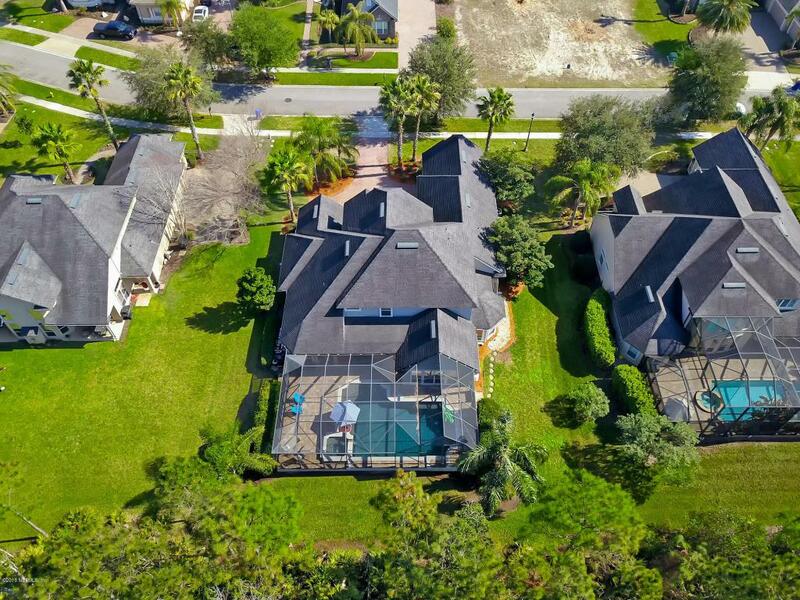 All of this is in addition to all of the abundant amenities of Nocatee.